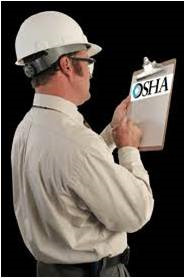 Does your budget include money for OSHA, HIC or RRP Fines? Monday was an interesting day. Three contractors called me for some advice on; being cited and fined by OSHA, a revoked HIC registration from the Office of Consumer Affairs and Business Regulation and a Mass RRP Department of Labor Standards violation. Two shared some bad news about getting fined and said they don't have the money in their budget to pay them. The third is thinking from what he was told by a board of health inspector he will likely be cited and fined.